Love Realtree® but want a t-shirt for you instead of for a man? Here is your choice! 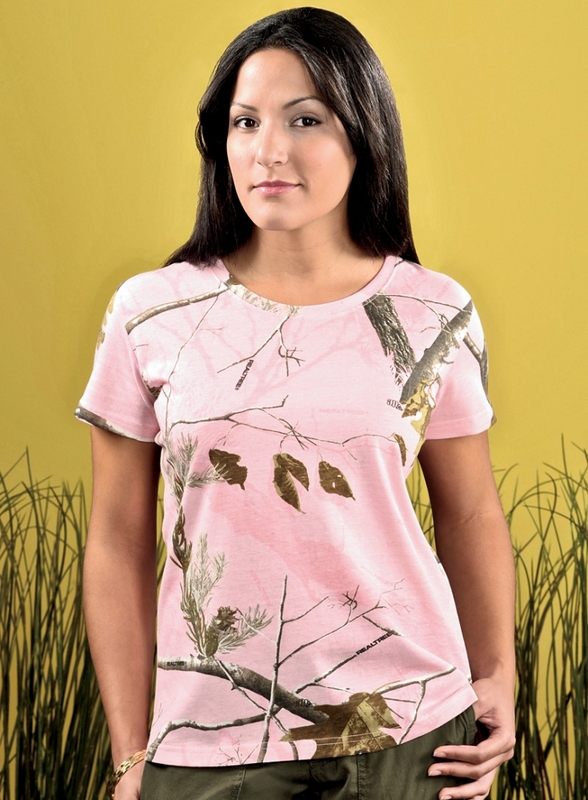 A Realtree® t-shirt in popular AP™ camo is perfect for the true woman hunter. Love hunting, but want a fashion item to wear everyday? Try our AP™ Pink t-shirt for a feminine look to a classic camo print. Realtree® camo is the fastest growing licensed camouflage print in the world and is perfect not only for hunters but any outdoor enthusiasts, sports teams and more!